Join the San Bernardino County Sheriff’s Department and the Ontario Reign as they host the first ever law enforcement appreciation hockey night at the Citizens Business Bank Arena on Sunday, Feb. 22. The hockey game begins at 3 p.m. and ticket proceeds will go toward Southern California Concerns of Police Survivors (COPS). 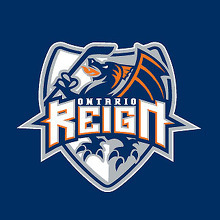 For tickets, visit http://www.ontarioreign.com/promoschedule/ and look for Law Enforcement Night. Use the promotion code ENFORCE to purchase your tickets. For more information, contact Marc Summers at msummers@sbcsd.org or Mike Jones at mjones@sbcsd.org. View the promotional flier here.